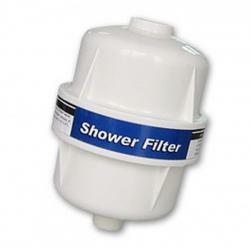 Puricom Ivory GAC-KDF Inline Shower Filter Please note: This product may n..
Vitafresh Advanced Shower Filter Combo Pack The use of vitamin C in the treatment o..
KingLight 4 LPM (1GPM) UV Steriliser System 6w The KingLight UV system is a..
Everpure Claris Ultra 1000 CTU Cartridge Capacity: 8,500 Litres For use wi.. The Osmio 2.5 x 10 inch Sediment Water Filter System can be used as stand alone whole house sediment filter or as a pre-filter and/or post filter in conjunction with the Ecopure Large Fluoride Whole House Water Filter system to provide optimum combined filtration. This Sediment filter traps sediment and other particulate matter, such as dirt, silt, suspended solids and rust which affect the taste and appearance of your water. 1 micron is in the particle filtration category cannot be seen by the human eye. This filter is designed to be changed out every 6 months or 1350 gallons. The Ecopure 2.5 x 10 inch Sediment Water Filter System can be used in conjunction with the Ecopure Large Fluoride Whole House Water Filter system to provide optimum combined filtration. 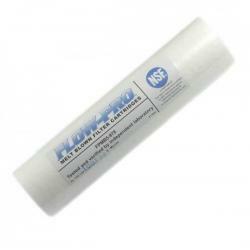 Tags: Sediment filter, l micron pre filter, l micron post filter, 2.5 x 10"
Spectrum Melt Blown 2.5 x 10 inch Sediment Filter 5 Micron Th..
Osmio Active Ceramics Large Whole House Water Filter System The Osmio..